We live about five hours from Gatlinburg, TN. If you’ve never been there, it’s a town just outside the entrance to the Great Smokey Mountains National Park. Gatlinburg has gone over the years, from being a sleepy little mountain town to a tourist mecca. It has a decidedly German flavor to many of the buildings and in the summer, there are beautiful flowers everywhere. I know lots of people don’t like tourist towns, and I often don’t like them either, but I like this one. 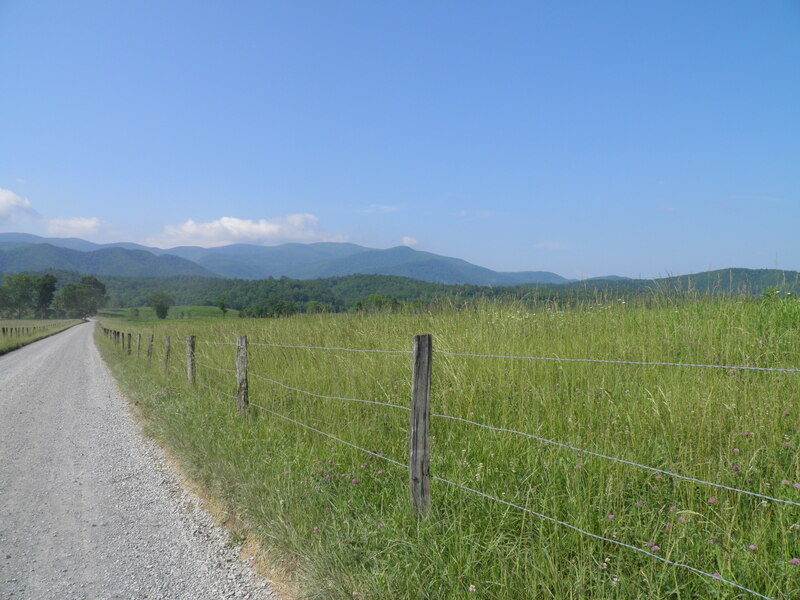 It is a great gateway to the beautiful park, and inside that beautiful park is Cades Cove. 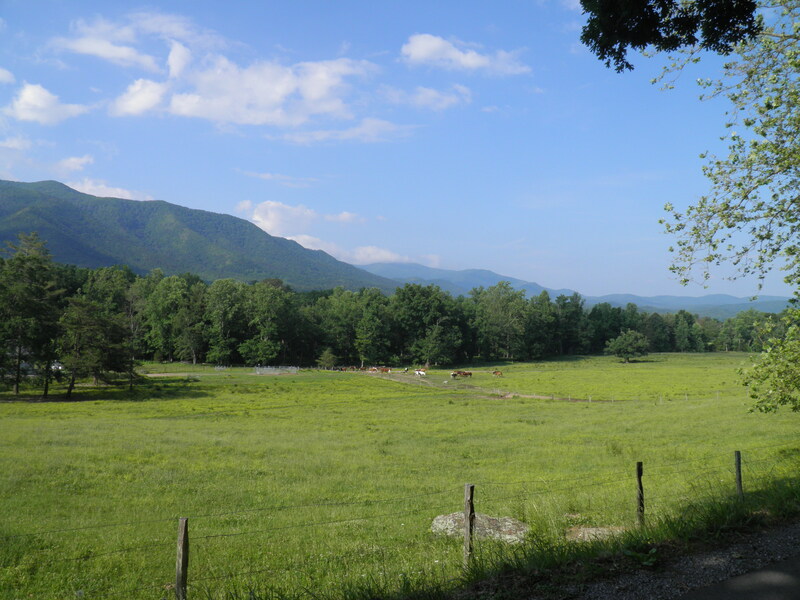 Cades Cove was a community way back in the mountains. Today, it is basically a museum of past Appalachian living. There are a few houses, some churches, a nice visitor center and a campground. We decided to take a bike ride on the loop road, and quickly discovered that it’s a lot hillier than we ever thought it was from the car. We had to bale, but in the meantime, I got some awesome photos. A morning view from the Loop Road. We got there early, it was shady and cool. Suddenly, the sun rose all the way and the humidity began to creep up. We realized that we were going to all die and dry up like empty corn husks if we kept going, so the sight of this cross-over road was a welcome sight. Posts along the cut over road to chop that trip in less than half. 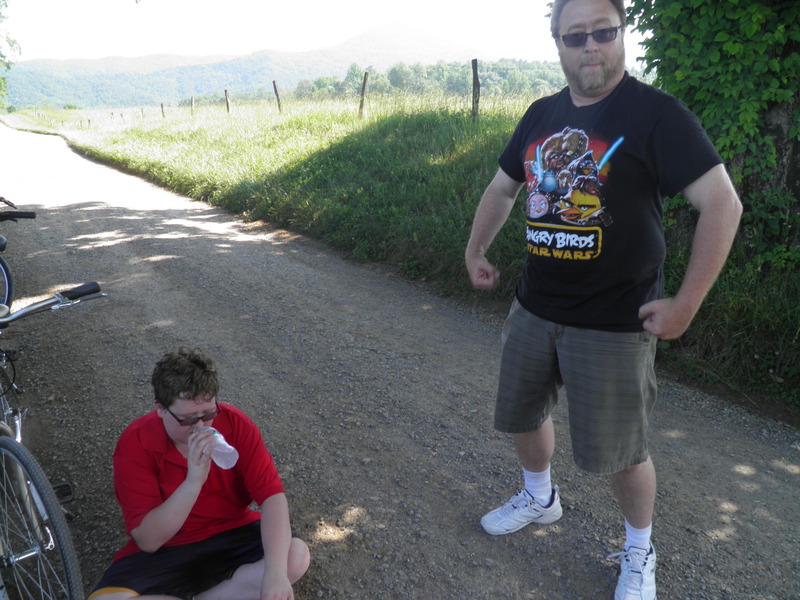 The hubs goofing off because the boy’s shirt was too small for him, the boy dying. Lesson learned from this? 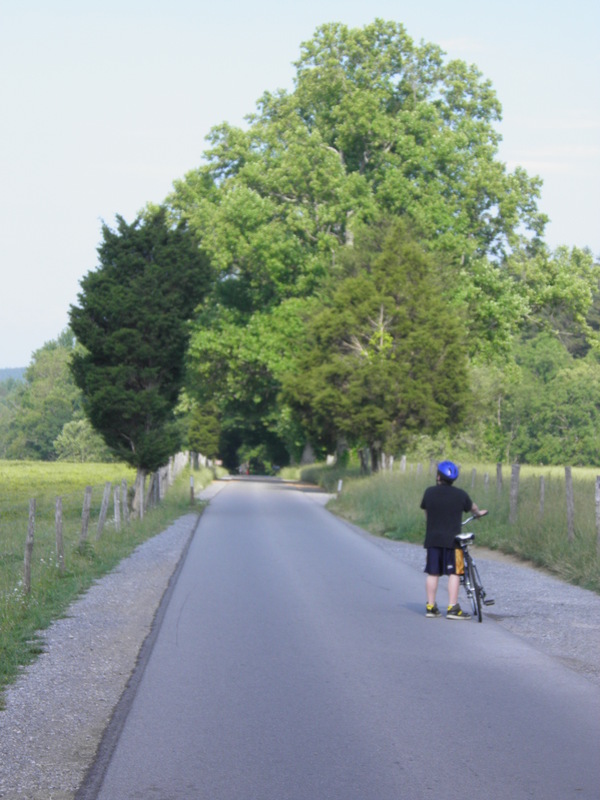 Just because you can handle an eight mile loop road bike ride on a perfectly flat island in Michigan when the temp is in the low 60’s, does NOT mean you can handle a loop road bike ride on a hilly, 80 degree, humid Tennessee morning. Just say no. 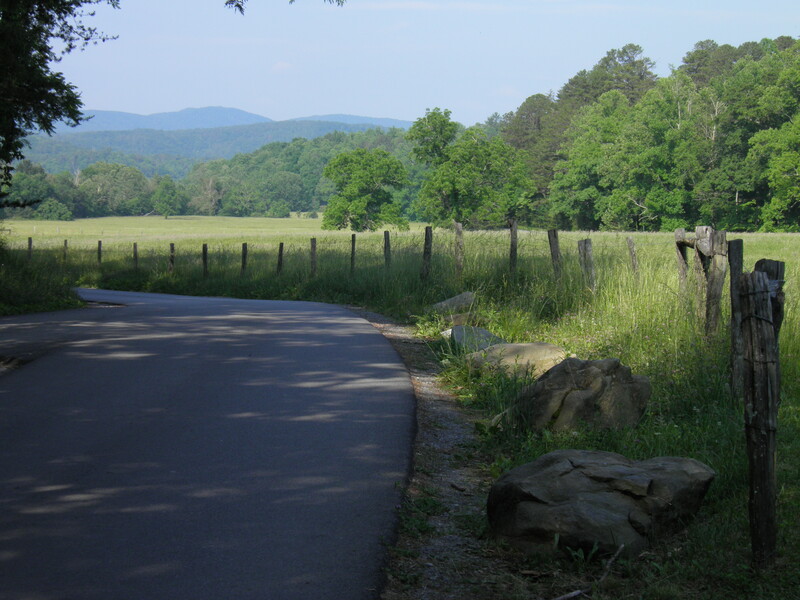 The Cades Cove Loop Road is for cars. Use one.